What Does Luxury Senior Living Offer? Luxury senior living offers all of the benefits of a luxury apartment or condo, but with seniors in mind. You’ll live in a gorgeous home with ready access to help when you want it — and privacy when you don’t. This one-stop approach to senior living ensures everything you need is all in one place. Luxury senior living includes fine gourmet dining, special community events such as dances and concerts, and regular educational and social activities such as yoga classes, discussion groups, and book clubs. As in real estate, location matters when it comes to luxury senior living. Fort Worth is one of the best places in the nation to retire, with legendary sports teams such as the Dallas Cowboys, an active arts and music scene, and hundreds of the best parks and nature walks in the country. As you begin your search, ask whether the community offers transportation to local attractions and shopping centers. Regular outings, such as a community outing to the Kimbell Art Museum or Fort Worth Zoo, can also be major selling points. Spend some time thinking about the activities that are most important to you, and then choose a senior living community that prioritizes these activities. Can I Afford Luxury Senior Living? Luxury senior living is more affordable than you might think. Because it offers everything you need under one roof, you’ll save money on transportation, entertainment, and other expenses. In fact, some people find that senior living communities are more affordable than living at home, especially when you factor in the specter of home repairs and maintenance. Medicaid pays for some senior living communities. Employee benefits plans, veterans benefits, long-term care insurance, and similar programs may also fund all or a portion of the program’s expenses. For help calculating your potential costs and assessing whether you might save money on senior living, check out Arbor’s senior living cost calculator. What Is Luxury Assisted Living Like? About half of all seniors need help with at least one activity of daily living. A 2014 study found that most seniors get that assistance from a loved one. But luxury senior living offers a viable alternative. Assisted living provides support and assistance with activities such as cooking, bathing, and taking medication in a homey setting that preserves your independence. You’ll get healthy gourmet meals, a home that reduces fall risk, and easy access to support 24/7. For some seniors, this support can even prolong independence and support good health by reducing fall risk, eliminating loneliness and isolation, and supporting seniors to take medications on time and at the right dosage. Seniors in luxury assisted living in Fort Worth remain active and engaged members of their communities, going on community trips and outings to can’t-miss destinations such as the Fort Worth Stockyards. What Amenities Should I Expect? Fine dining. Upscale dining options can affect your long-term happiness and health. Today’s senior living communities offer a wide variety of mouth-watering and healthy meals. A gorgeous living space. Your apartment or condo should be comfortable, cozy, and beautiful. You’ll also have access to an enticing lobby and lush landscaping without all the work. Numerous amenities. Each senior living community boasts its own list of amenities — from a beautiful library to an Olympic-size pool. Supportive staff. Quality communities have committed team members who get to know you, your family, and your needs. Access to the wider community. Luxury senior living offers everything you need all in one place, but that doesn’t mean you never leave. The best communities offer a range of transportation options when you need them, as well as fun activities at local attractions. The Vantage at Cityview offers luxury senior living, including independent, assisted living, and dementia care. We’d love to meet you, welcome you to one of our events, and talk to you about your perfect retirement. 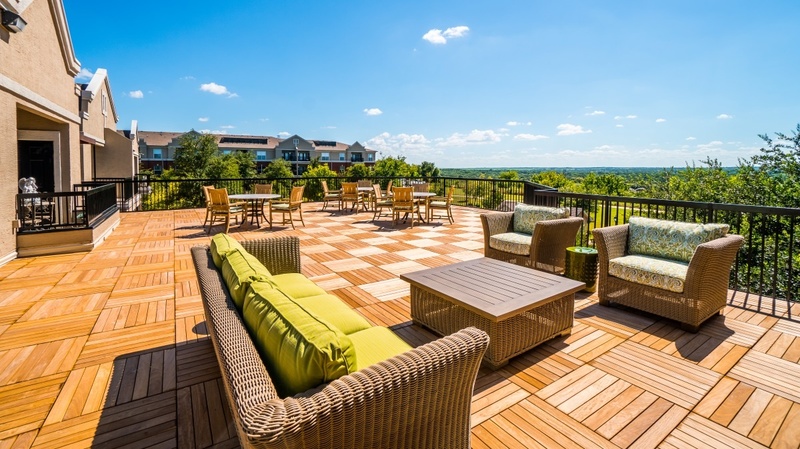 Interested in learning more about our luxury senior living community in Fort Worth, Texas? Fill out the form below for more information.